An entertainer who connects with people. You came to our open house last August and you are asked back by VERY popular demand! No Grand Opening would be complete without ‘The Balloon Man’. 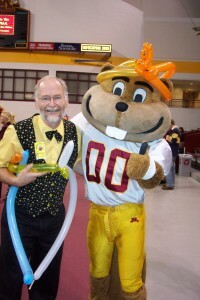 David Olson is, first and foremost, an entertainer. 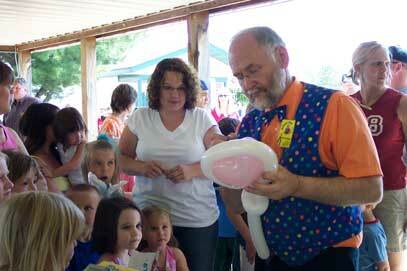 While he is not a clown making balloons, this 'Balloon Man' engages children in his line with stories, jokes, and guessing games about the creation he is making. David entertains your guests even as they wait, which brings many to linger even after they have their balloon!! As a trained school psychologist, David speaks to children at their level. His training in early childhood education helps make it a positive, interactive experience. For instance, he does not make swords (or weapons) but will get a child doubly excited about a substitute creation, such as a motorcycle, alien, crown, Vikings hat, flower, or an animal. Most of the Balloon Man's charming creations take less than 90 seconds to create, ensuring as many of your guests as possible walk away with a tangible reminder of the fun they had at your event.